Leanne bakes: Movember Moustache Cookies... on a stick! 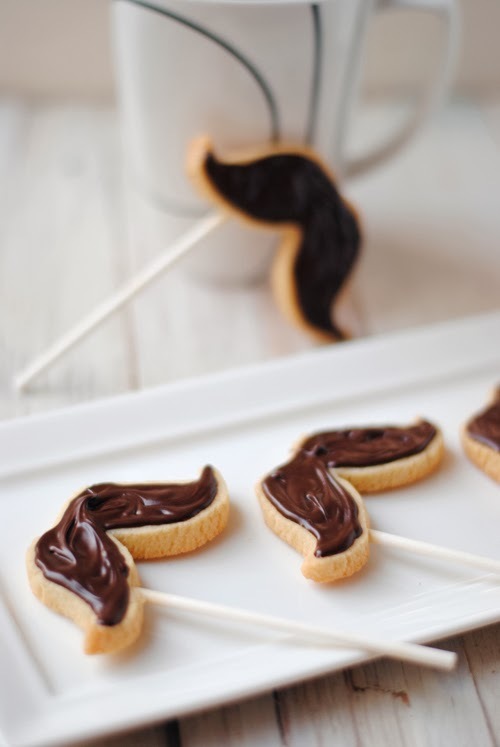 Movember Moustache Cookies... on a stick! 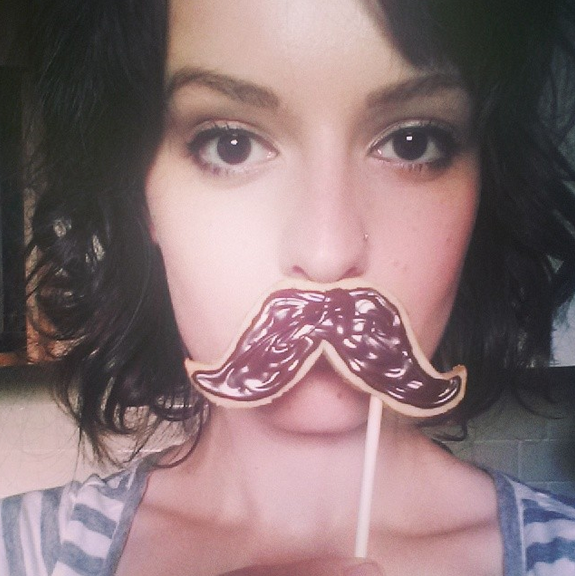 I may not be able to grow a moustache for Movember, but I can definitely bake one. Or a dozen. And so can you! These moustache cookies are a lot easier to make than they look, and just take a batch of sugar cookie dough and some chocolate. You can have a fully grown and groomed 'stache in an hour - way, way less time than it takes to grow one. And you can actually eat these ones. Preheat your oven to 325F and line a baking tray with parchment or a silicone baking mat. Cut out the moustache template and set aside. Roll out half of the dough onto a clean, slightly floured surface, about 1/4 inch thick. Place the moustache template in one corner, and use a sharp paring knife to cut out the shape. Repeat for the remaining dough. Gently stick a cookie stick into one side of each cookie, and place them on the baking tray. Bake for 10-12 minutes. Remove to cool on a wire rack. When cooled completed, heat the chocolate on low until it's just melted. Do not overheat it because it will seize and useless. I prefer to do this in the microwave, but on top of a double boiler will work, too. Scoop the melted chocolate into the pastry bag with the small tip attached. Gently squeeze the chocolate to outline the cookies, then fill it in. Be silly, enjoy, and remember to donate to Movember!